The author of the New York Times bestselling Cooked, award-winning chef, and star of his own Food Network docu-reality show dishes up his first cookbook, Chef Jeff Cooks. Jeff Henderson's story is familiar: Raised in South Central Los Angeles, he became a successful drug dealer. He made a lot of money. He got caught. But what happened next wasn't the same old story: Jeff changed. He found a passion in prison kitchens and taught himself to cook. Once released, he talked his way into a series of professional kitchens -- almost always having to prove himself by starting as a dishwasher or line cook. His talent was obvious; his work ethic even more so. After rising to the top of the kitchen in some of Los Angeles's best restaurants, he became the first African American Chef de Cuisine in Las Vegas at Caesars Palace and then executive chef at Café Bellagio in the prestigious Bellagio Resort. Now Jeff shows theworld his food and it is delicious. What inspires him? Foods he ate as a child -- Half-pound "Back-in-the-Day" Chili Cheeseburger, Turkey Smoked Collard Greens, Friendly Fried Chicken, Macaroni and Smoked Cheddar Cheese, Cakelike Cornbread with Maple Butter, and Chocolate S'more Bread Pudding -- are here as well as the more elegant, celebratory cuisine he developed as a chef -- Sweet Potato Soup, Barbecued Shrimp Scampi, and slow-cookedMolasses Braised Beef Short Ribs. Cooks will also find lots of great recipes for the grill and plenty of party foods, satisfying salads, quick breads, sides, soups, sweet endings, and more. 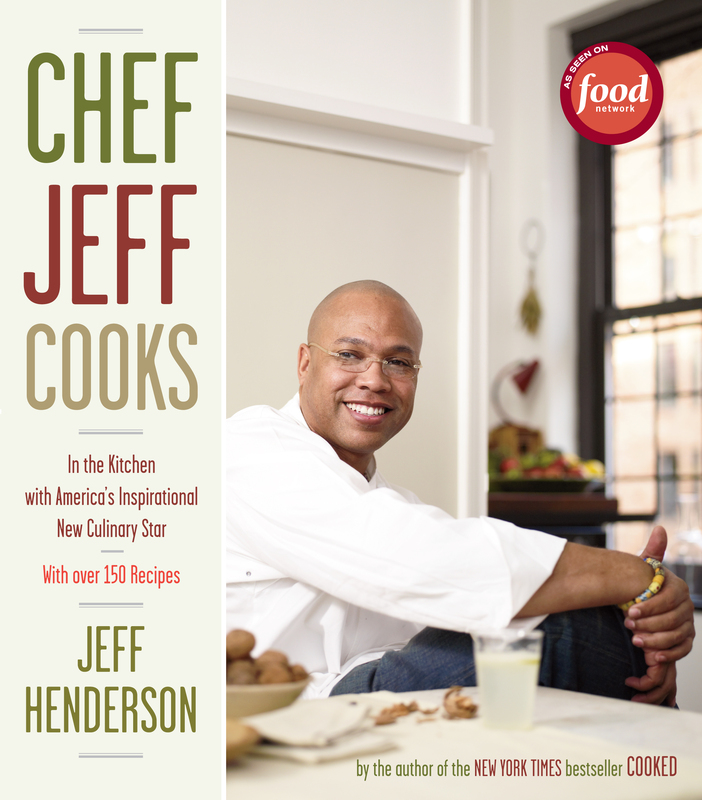 Featuring over 150 recipes, stunning full-color photographs, tips and techniques, as well as personal outtakes and anecdotes from Chef Jeff's life on the streets, the prison kitchen, and hiswork as a chef andmotivational speaker, this is much more than a cookbook -- it is a larger-than-life American success story and the recipe for how Chef Jeff fulfilled his dream. Jeff Henderson grewup in South Central Los Angeles. He is a former drug dealer who spent nearly a decade incarcerated in federal prison. It was in prison that he found his passion -- cooking. Once released, he embarked on a career as a chef.Working his way up from dishwasher to line cook, he became the first African American to be named Chef de Cuisine at Caesars Palace in Las Vegas and later executive chef at Café Bellagio. His first book, the memoir Cooked, was a New York Times bestseller and is slated to become a feature film. The Chef Jeff Project, a docu-reality series on the Food Network, debuts in the fall of 2008. Jeff lives in Las Vegas with his wife and three children.